220 S. FIFTH • GALLUP, NEW MEXICO 87301 (505) 722-2271 • www.RicoAutoComplex.com Excludes 1SV models. Must finance through GM Financial. Some customers may not quality. Offer includes purchase allowance and price reduction below MSRP. Not available with lease, special finance and some other offers. Take retail delivery by 4/30/19. See participating dealer for details. 2Excludes 1SV model. MUST BE A CURRENT OWNER OF A 2005 MODEL YEAR OR NEWER NON-GM VEHICLE FOR AT LEAST 30 DAYS PRIOR TO THE NEW VEHICLE SALE. Must finance through GM Financial. Some customers may not qualify. Based on MSRP of $26,760. Not available with special finance, lease and some other offers. Take retail delivery by 4/30/19. See participating dealer for details. he City of Gallup has chosen its next police chief, 21-year Gallup Police Depa r tment veteran Franklin Boyd, who in December received a “no confidence” vote from the Gallup Police Officers Association for the way he was reportedly running the department on an interim basis. The vote breakdown from the association was sent to City Manager Maryann Ustick, but she said in a letter, responding to GPOA President Victor Rodriguez on Dec. 17, that the votes of no confidence against Boyd contain no “facts or allegations” about his conduct or actions. Thoughts by Richard F. Kontz Executive Director of the Gallup Housing Authority Back in mid-2017, Dr. Ben Carson made some comments about poverty which caused quite a stir in the News media. In a New York Times article he was criticized for stating: “I think poverty to a large extend is a state of mind”. Dr. Ben Carson is a “product of public housing” raised by a single-parent who worked several jobs to send her son to college. He credits his mom with his “rise out of poverty”. He further stated: “She was a person who absolutely would not accept the label of victim”. I too, was raised by a mother [and a father] who never saw themselves as “poor” or “poverty-stricken”. They believed in the “American Dream” and that the ticket to obtaining that dream was education, hard-work and having With my dad it was his example. He always worked hard and was always “self-educating” to improve himself and he fully believed that America was the land of opportunity. What Dr. Carson was saying is that there are people who have “learned how to play the game” to stay poor [in poverty] in order to access government assistance for as long as they can; which unfortunately, can become a way of life for some people – a “state of mind”. Associate Editor Beth Blakeman Photography Cayla Nimmo Knifewing Segura Correspondent/Editorial Asst. Cody Begaye Design David Tsigelman On the Cover Cecille Perales poses for a portrait at the nursing lab April 9 at UNM-G. Perales is a nursing professor at the school, and Camille’s Sidewalk Cafe’s “Teacher of the Month.” Photo by C. Nimmo The Gallup Sun, published Fridays, is not responsible or liable for any claims or offerings, nor responsible for availability of products advertised. All rights reserved. Reproduction in whole or in part without permission is prohibited. The Gallup Sun distributes newspapers in McKinley, Cibola and Apache counties. Office: 102 S. Second St., Gallup, NM 87301 POSTMASTER: Send address changes to Gallup Sun, PO Box 1212, Gallup, NM. Mailing Address: PO Box 1212 Gallup, NM 87305 www.gallupsun.com Phone: (505) 722-8994 Fax: (505) 212-0391 gallupsun@gmail.com Letter to the editor/guest column ACCEPTED BY EMAIL ONLY. State full name and city/town. No pen names. ID required. All submissions subjected to editor’s approval. Guest columnists, email Sun for submission requirements. HER E A T U N M - G A L L U P , W E A R E A C O M M U N I T Y O F U N I Q U E P ER SP E C T I V E S R ESP EC T I N G A N D E M B R A C I N G O U R DI F F E R E N C E S . W E A R E A C U L T U R E O F C O N T R A S T R A T H E R T H A N A C O N T R A S T O F C U L T U R E . U NA F R AI D T O L E T O U R COL OR S R U N A N D B L E N D A N D W E L E T T H E V E R Y T H I N G S T H A T D I V I D E U S B E C O M E T H E T H I N G S T H A T C ON NEC T U S T O EACH OT H E R . S O W E C A N C R E A T E , CO L L E C T A N D BE I NSP I R ED BY K N O W L E D G E - A B O U T E V E R Y T H I N G F R O M SCIENCE AND WELDING TECHNOLOGY TO LIBERAL ARTS AND ALLIED HEALTH. allup Police responded to a medical call at the south end of Arnold Street shortly before noon April 10. Officers and medical units arrived on scene to find a Native A merican female unresponsive on the ground. Medical personnel perfo r m e d e m e r ge n c y c a r e procedures, but the woman could not be revived. Gallup police detectives took over the scene. No sig n s of fou l play were evident and authorities have identified the woman as Sherrilee Bryant, 47, of Gallup. The death is under investigation. secretaries, stock feed, barbeque, fajita contest, breakfast and prizes, as well as for security services. According to information attached to the agenda, the city wants to host the finals to co-sponsor, support and promote the love of good hor sem a n sh ip, promot e rodeos for youth, amateur, and professional riders, and horsemanship contests for the welfare and benefit of the citizens of Gallup and McKinley counties. Each item was approved with a 4-0 vote by the council. car burglary can be upsetting enough on its own, but it became a highly emotional and troubling experience for a Rio Rancho woman. Artie Ortega and her boss attended the Gallup Gun Show as vendors. The pair stopped for dinner at Cracker Barrel April 5 when her boss’s car, a red 2014 Ford Escape, was broken into in the parking lot. According to the police report, the burglary occurred about 6:50 pm. The front passenger window was broken, and multiple items were taken. The police report says surveillance footage shows a man, who looks to be Native American and in his 30s, dressed in black and wearing a hood, walked around the parking lot and broke the front window of the Ford Escape. He then got into another vehicle that drove off. Two 1917 Colt Revolver .45 US Army Edition firearms and Ortega’s purse were missing. The guns are valued at $2,000 a piece according to the owner. But the biggest loss for Ortega was a pouch inside her purse that contained the ashes of her late son, Anthony J. Romero, who passed away Feb. 26, 2012. He was 30 years old. Ortega spoke with the Sun April 10 in hopes of getting the word out about finding this constant reminder of her son she carried with her at all times. “He told me, ‘I want to be cremated because I don’t want anything crawling on my body,’” Ortega said in a phone call about her son. Ortega described the process of going to her friend’s husband, who was familiar with blowing glass. She spoke about taking the colors of her son’s favorite football team, the Miami Dolphins, and making a small bottle and maroon velvet pouch, she used to carry her son’s ashes in her purse. Anthony J. Romero: January 24, 1982 – February 26, 2012; ashes missing. Photo Credit: Artie Ortega In an email to the Sun, Ortega said she was distraught because it felt like she lost her only son once again. “I know he’s with our dear Lord up above. I just have my days where I miss him,” Ortega said. “For someone to take that away is really painful.” The fact that the perpetrator could be Native hit Ortega hard. “I am Indian from Laguna Pueblo, and just the thought that another Native Indian could do such a thing, sickens me to the very core of my stomach,” she said, in an email. At this point, what Ortega wants most is for someone to tell her where the perpetrator and her purse could be. She said that all she wants returned to her, is her son’s ashes, or at least to know for sure what may have happened to them. “That alone hurts the most, not knowing where he’s at,” she said. The surveillance footage shows the suspect leaving the parking lot in a newer model white Chrysler 300, with tinted windows, a sun roof, and front silver grill. If you have any information, contact the Gallup Police Department at (505) 863-9365. 200 YEARS years of combined experience! Make your payment and get service at one great location! Keep them safe. Clean them out. Visit DEA TakeBack.com for a collection site near you or call your local SNAPS SA Coordinator @ (505) 726-8249 for more info! RED ROCK BURGLARY Gallup, April 6 Gallup Police are investigating a burglary that occurred on April 6 at a home on Red Rock Drive. The homeowner told police someone had entered his residence and had gotten in by prying open a back screen. He said he had a number of guns inside the house and he wanted police to search it before he entered. When the search was completed, they found three guns missing, as well as some jewelry and three gold coins. The items that were missing were valued at more than $4,600. There are no suspects. when he left and was getting into his car, two males attacked him. One of them punched him three times and then they took the keys to his vehicle and ran away. Haskie had to call a relative to bring him his spare keys and he was driven home. Police looked for the two men, but were not able to find them. BOOKSTORE BRAWL Gallup, March 26 Gallup police were called to the Adult Book Store on West Highway 66 about 4 pm on March 26. The clerk at the store said he let a man use the restroom, but when he was in there for a long period, he knocked and told the man he had to leave. The man then opened the door and punched him, he said. The clerk said he had some pepper spray on him and tried to use it as the two fought on the ground. He finally got it released but he was affected by the spray as well. The man then walked outside while the clerk stayed inside and called police. The man was never located. TROUBLE AT DETOX Gallup, March 26 A Wingate man was charged with assault on a health professional after he repor ted ly spat on a n employee at t he Ga l lup D e t o x numerous times. The healthca re worker sa id Dua ne Freela nd, 53, became uncooperative soon after he walked into the center at about 5:36 pm. As he was being walked to his cell, Freeland reportedly spat in the worker’s direction, hitting his cheekbone. Then a couple of minutes later, he spat at him again, twice. The worker also threatened to stab him when he got out, he said. He was arrested by police and taken to the county jail. no covering over their faces. The first suspect is described as about 5 feet 10 inches tall, with a slim build. He was wearing faded jeans, brown slippers, a red, white and blue jacket, and a red Tommy Hilfiger cap. The second is described as close to 6 feet tall, and wearing an all-black warm up suit, with a Pittsburgh Steelers cap, and black and white shoes.. The two were seen on video getting into a silver four-door vehicle, that could be an SUV, possibly a newer model Hyundai Santa Fe, which may have been driven by a third person. Anyone with any information on the robbery can get in contact with Chaco Chischilly at (505) 728-8665 or Metro Dispatch at (505) 722-2231. Carviso, 38, of Ya h -Ta H a y, w h o wa s i n t he driver’s seat taking on his cell phone to his girlfriend. Davis said he refused to get off the cell phone and told Davis to talk to his girlfriend. He said he would do that later. L BUQU ERQU E – Troy Livingston, 18, an enrolled member of the Navajo Nation who lives in Breadsprings, made his initial appearance in federal court in Albuquerque April 8 on a criminal complaint of murder. The charge says he took the life of a Navajo woman with malice aforethought. His preliminary hearing and detention hearing, were scheduled for the following day. The criminal complaint alleges that Livingston beat the victim to death with a flashlight and his feet at a residence in Breadsprings, on the Navajo Indian Reservation, April 6. According to the criminal complaint, the victim was Livingston’s girlfriend. If convicted, Livingston faces a statutory maximum sentence of life imprisonment. Troy Livingston The case was investigated by the Gallup office of the FBI and the Crownpoint office of the Navajo Nation Division of Public Safety. Assistant U.S. Attorney David P. Cowen is prosecuting the case. Charges in criminal complaints are only accusations, and defendants are presumed innocent unless found guilty beyond a reasonable doubt in a court of law. ESTATE SALE - LOG HOMES PAY THE BALANCE OWED ONLY!!! AMERICAN LOG HOMES IS ASSISTING JUST RELEASED OF ESTATE & ACCOUNT SETTLEMENT ON HOUSES. Don’t despair dear Aries, this too shall pass. Forward seeking energy is wonderful. But, at times you must slow down, focus on what needs changing, and reshape your possibilities. Don’t give up. You’re almost there. You may find anything you seek, if you take the time to look and work with yourself. You can’t keep pushing off your troubles to another day. Sit calmly with them. Dear Cancer, you can do this. It may feel like an insurmountable object is facing you, so push forward with strength and purpose. Maybe you got so focused on the big picture or the destination that you lost sight of the journey itself. Stay aligned with your vision and connected to the process. Jupiter, the teacher, has some big lessons for you. Dear Capricorn, enjoy life. Don’t get caught up in the details of sadness. Share your love with others. Two of the most playful and creative planets, Venus and Neptune, link up in Pisces and your third house of socializing. Let your hair down and see what happens when you’re not obsessing over work. Life is all that is good and wonderful. Share your work with the world and rejoice in the feelings of others. You don’t have to “feel” their pain in order to help them. Get outdoors more, and don’t look at your phone! (Rather, look up at the sky and around at everything that’s in bloom.) Get acupuncture, bodywork and extra sleep! Each of these is just one small shift, but together they will add up to a health-supportive lifestyle! Your heart is in the right place and you have found the place you were seeking. But, don’t look for your self-worth in other things. The only things you need are within your own heart. You have the power to shape your own world and live well. Stop trying to control the feelings of others. You’re not their conscience. Just be their friend. Keep sharing the joy in your heart dear Leo! You have so many talents and attributes. Give of yourself and discover what brings out your playful side. What recharges you could help you get better acquainted with yourself. Bask in the sum of all that you are. Live the life you’ve always wanted for yourself and spread the joy of happiness to those around you. If you recently moved or began a major renovation or redecoration project, you could probably use a chance to catch your breath and reassess. Give more focused attention to your family and inner circle, but don’t let them steal precious “you” time. Keep working toward the goals you hope to accomplish, Gemini. Exciting opportunities could fall into your lap without much warning this week, so bring your ‘A’ game to everything you do, even impromptu meetings. As a Gemini, your superpower is being sincerely interested in other people’s points of view. SCORPIO (Oct. 23-Nov. 21) Sit still dear Scorpio. Now is the moment to sow seeds and plant ideas that will be reaped with time. Enjoy this unique process. Remember, you can’t step into the same river twice. You can’t have the same moment again. Breathe deeply and appreciate all that is around you. Live. SAGITTARIUS (Nov. 22-Dec. 21) Don’t get caught up in sentimentality. It doesn’t help those around you. Over the next four months, identify those areas where you stretched too far or revved too fast. There are only 24 hours in a day, Sag. And while you might have more energy and motivation than a six-pack of some of the other signs, you still need your sleep! AQUARIUS (Jan. 20-Feb. 18) You must try to use that incredible mental strength to help rather than hurt those around you. You may not mean to use your energy against others, but sometimes when we’re unaware of ourselves, we do just that. Give yourself a break. Give compassion to yourself first, and the rest will follow. Good luck! Federal Register notice published Feb. 8 in which the NRC announced its intention to prepare an environmental impact statement on the proposed waste transfer; interested individuals must refer to Docket ID NRC-2019-0026, when contacting the NRC about the availability of information regarding this document. On April 22, “Earth Day” 2019 there will be a Free “Nuclear Nation Film Festival” that will be held at the El Morro Theatre located at 207 West Coal Avenue in Gallup, New Mexico with six films showing beginning at 3 pm through 9:30 pm along with six expert panelists available to answer questions about the uranium legacy on the Navajo Nation. The Nava jo Nation Aba ndoned Mine La nd Reclamation Department will have an information table set up. We are also recognizing the Three Mile Island victims in solidarity with the communities that were impacted with the March 28, 1979 failure of the Unit 2 Nuclear Reactor. We will also commemorate the communities that were impacted by the worst radioactive “accident” in the United States on July 16, 1979 in Church Rock. Mervyn Tilden Church Rock, N.M. the restaurant, told police someone had broken into her vehicle and had stolen, among other things, a handgun and an iPod. According to the police report, police are checking to see if any of the surveillance cameras set by the business, as well as other nearby businesses, would provide any clues. Police agreed to do extra patrols at her residence in case the suspect went there. Subscribe to Gallup Sun via Snail Mail! SUPPORT LOCAL JOURNALISM! ach month, Camille’s Sidewa l k Ca fe i n Gallup, chooses and recognizes one local teacher within the Gallup area for the “Teacher of the Month” award. Teachers are nominated by students and those who feel they deserve the recognition for their determination to help local students become more than they expect. Camille’s presents this teacher with an award for excellence in teaching. This month’s winner is Cecille Perales. Add our Gluten Free Cauliflower Pizza Crust to any of our famous Pizzas. teaching, I’ve always felt that fulfilling need even as a young child. That’s why nursing was a fit for me, because I’ve always wanted to teach.” When asked what is the best thing about coming to work as a teacher, Perales says it’s the students having that goal of becoming a nurse, as she did. She says to help them succeed is what is really gratifying; helping the students reach their goals and meeting them half way. She says it’s hard because she wonders if she could have done better. “I look at myself as an instructor and wonder what could I have done better,” she says. “I know my students have their own responsibilities. QUINTANA'S MUSIC WE FINANCE! NO CREDIT NO PROBLEM! THE ONLY AUTHORIZED Fender, Marshall, and Peavey Repair & Warranty Center in the 4 corners area. Now Accepting Arizona Medicaid & Delta Insurance! the library and was very happy about the whole event. “We were excited to have this happen and when we thought about it initially, it was like well, he’s a major author. Can we get him here? My attitude was, well, we can ask and it worked out and we were thrilled,” he said. McGarrity was pleased with the event and said where we live is so beautiful in many ways. The cultural significance and the people give him so much to write about. “The one thing about New Mexico is the fact that we are multi-cultural and that Anglos don’t make up the majority,” he said. “Really what New Mexico reflects is what’s going to happen in the world, and what’s going to happen in our country. Which is really scaring a lot of old white guys (laughing); is that they can’t stand the idea that this country, that they believe is their Manifest Destiny, isn’t going to be – if you will, ruled by one class of people, one race of people. We’re very unique in that way.” McGarrity said he enjoyed the event and thought the turnout was great. “To have that many people come out, I think was an exceptional crowd. They looked interested and seemed to like what I do as a writer,” he said. For more information on Michael McGarrity visit www. michaelmcgarrity.com. For more library events and information about the Mini-Grant application process contact UNM library at (505) 863-7500. RATING: ««« OUT OF «««« RUNNING TIME: 95 MINUTES Laika is an animation studio that has produced consistently impressive features over the years, including Kubo and the Two Strings, The Boxtrolls, ParaNorman, and Coraline. Their latest continues with the trend of intersecting family entertainment thrills with darker, supernatural, and monster-related subject matter. Thankfully, Missing Link is another big winner, blending amusing characters, a sweet message and some staggeringly beautiful visuals. The story begins with Sir Lionel Frost (Hugh Jackman), a self-described adventurer seeking to prove the existence of mythical creatures and impress a stuffy club of explorers led by Lord Piggot-Dunceby (Stephen Fry). After receiving a note telling him where to find the elusive Sasquatch, Frost heads out to the Pacific Northwest, where he comes into contact with the beast, who he names Mr. Link (Zach Galifianakis). elcome back to another edition featuring highlights arriving on Blu-ray and DVD. As you might have guessed, there are plenty of new releases hitting shelves. So if you can’t make it out to the movies this week, be sure to give one of these titles a try! Bayerlein headline this title. We Die Young - A 10-yearold boy in Washington, DC is recruited into a drug-running gang against the wishes of his teenage brother. The older sibling requests the assistance of an Afghanistan war veteran to help him get the youngster away from a life of crime. Together, they infiltrate the organization and attempt to rescue the child. There aren’t a lot of reviews. The ones that have popped up, call it a nice change of pace for its star, although some suggest that this B-movie might have benefited from higher production values. The cast includes Jean-Claude Van Damme, David Castañeda and Elijah Rodriguez. Welcome to Marwen - Based on the true story and documentary Marwencol, this biopic tells the story of a man struggling with PTSD. After being beaten to within an inch of his life by white supremacists, the lead begins designing a fantasy world populated by action figures of women whom he admires. In the process, the protagonist tries to rebuild his own life. Sadly, the majority of press members didn’t think this fantasy/drama worked. A small selection thought that the movie’s heart was in the right place and that it attempted something new and different. It stars Steve Carell, Leslie Mann, Diane Kruger, Merritt Wever and Janelle Monáe. staff, BCBSNM. “We want to inspire a new generation of wellness in our state by helping to find, fund, and focus programs on the most effective ways to address the pressing health issues facing our state. Together, we can truly make a difference in communities throughout New Mexico.” Established in 2011, the HKHF grant initiative is part of BCBSNM’s commitment to invest in and work with nonprofit organizations that offer sustainable and measurable programs in the areas of nutrition, physical activity, disease prevention and management, a nd s a fe e nv i r o n me nt s . Applying organizations must have 501(c)(3) status. To learn more about HKHF Gallup Patrolma n Christopher Dawes said he was dispatched to the 3300 block of West Highway 66 in connection with a car that was in an accident. When he got to the site, he found Tso, 25, of Mentmore, who said a truck came out of the parking lot, causing him to hit the curb. Dawes said as he was talking to Tso, he noticed that Tso positioned himself in a way so that he was standing next to him and not face to face. Dawes said he got in front of Tso and smelled the odor of liquor coming off his person. Tso agreed to take the Standard Field Sobriety test, but admitted he had a drink before driving. He took the test and failed. After being arrested for DWI, he agreed to take a breath alcohol test and blew two samples of .07. Information. All applications must be submitted online. NEW CHIEF | FROM PAGE 4 high-ranking officers decided to retire, too, and a number of positions opened up. As a result, Morrissette, who worked in the detective squad, was promoted from sergeant to lieutenant. Her action against Boyd continued after he was promoted by Hart to be his deputy chief, and eventually, Boyd was reprimanded after an internal affairs investigation, according to sources. But when Morrissette asked to see a copy of the report, her request was reportedly rejected. She filed suit in District Court to get that report released to her, and eventually, Judge Robert Aragon ruled in her favor, although it took some time for the city to comply with the order. According to Morrissette’s Attorney Thomas Grover, she continued to have problems with Boyd and Hart, and Boyd eventually issued charges against her, allegedly claiming that she was derelict in her duties. As a result of these charges, Morrissette found herself demoted to sergeant and then to patrol status, before she was terminated outright. More legal battles ensued, and ultimately city officials became involved. As a result, the city reinstated Morrissette with back pay, and a position as liaison with the schools and community was created for her. On April 9, after repeated requests, the city released the applications of those individuals who were considered finalists for the position. During the Gallup City Council’s regular meeting that same evening, Acting City Manager Jon DeYoung said Boyd was out of the office for training, which was confirmed by Capt. Marinda Spencer on April 10, and that the announcement time of the chief’s swearing in ceremony at Gallup Police Department would follow soon. Boyd will officially start as police chief on April 15. Boyd holds an associate’s degree in Criminal Justice from University of New MexicoGallup. He began classes in 1997 and graduated in 2018. Additionally, the candidates needed at least 10 years of service within a local government police department with at least five years in a progressive supervisory capacity of police captain or higher. 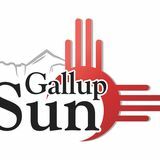 The Sun reached out to the City of Gallup’s Human Resources Director Klo Abeita several times to ask who was on the selection committee, but didn’t receive a response as of press time. The finalists: •	Charles Carafino, from Damascus, MD. He has 24 years of experience working for the Montgomery County Police Department in Maryland. He is currently a captain in the department. •	Samson Cowboy, who is currently police chief of the Jicarilla Apache Tribe in Dulce. He is a former chief of police for the Navajo Nation. He is from the Thoreau area. •	Daniel Dugatkin, who is from New Paltz, N.Y. He has been chief of police for the last seven years for the SUNY College at New Paltz. •	Joey Comstock, who is the current police chief for the Sauk-Suiattle Trina, Police Department in Darrington, Wash. •	Benny Gaona, a graduate of Gallup High School with 24 years in the Gallup Police Department. He is currently a patrol sergeant in the department. •	Jeffery Gilbert, who is currently police chief of the Lower Elwha Klallam Tribe in Port Angeles, Wash. Before that he worked for 17 years with the Quartzsite Police Department where he rose to the rank of chief of police. •	John Gruszka, who has worked for the Lake County Pol ice Depa r t ment i n Crown Point, Ind., where he is presently a commander in the department. •	Brian Paulson, who has worked for the Yankton Pol ice Depa r t ment i n Yankton, S.D. for the past eight years as police chief. •	Earl Andy Yearley, who has worked for the Gallup Police Department since 1994 and is currently a patrolman first class in the department. He also worked for the New Mexico State Police as a recruit. the time. “That’s the biggest burn-out. Getting this recognition was something needed and it just came out of the blue to which I say thank you, and that somebody appreciated my efforts.” If you’re interested in nominating your favorite teacher for “Teacher of the Month,” contact Camille’s Sidewalk Café at (505) 722-5017 or stop by at 306 S. Second Street in Gallup. EXTRAS – $5 PER WEEK, PER ITEM: TEXT BOX, HIGHLIGHT, ALL CAPS, BOLD, AND/OR PIC/LOGO Free classified: Limit one free ad per customer only. Second ad starts at $10, per 25 words. CLASSIFIEDS PETS Volunteers Wanted Four Corners Pet Alliance is in desperate need of foster homes for dogs and cats. You provide the temporary home and love, and we provide the supplies and vet care. For info., email: babsie220@gmail. com Did you lose a pet? Advertise your lost baby for FREE. Send pic and text. Deadline for submission Tuesday 5 pm. Email: gallupsun@gmail.com LEGAL/PUBLIC NOTICES PUBLIC NOTICE PUBLIC NOTICE IS HEREBY GIVEN that the McKinley County Board of Commissioners will hold a regular meeting on Tuesday April 16th, 2019 at 9:00 a.m. This meeting will be held in the Commission Chambers, Third Floor of the McKinley County Courthouse, 207 West Hill, Gallup, New Mexico. A copy of the agenda will be available 72 hours prior to the meeting in the Manager’s Office and the County Clerk’s Office. GALLUP HIGH SCHOOL GRADUATING CLASS OF 1969 50-YEAR CLASS REUNION 9 am @ Don Diego’s Restaurant breakfast meeting to plan the reunion. THE APRIL SHOW - OPENING 7 pm – 9 pm @ ART123 Gallery. Opening continues through May 7. See inspirational and transformational work by local artists! Follow ART123 on Facebook @123Gallery. MONDAY, April 15 TECH TIME: PICTURE EDITING BASICS 3 pm – 5 pm @ Main Branch. Free computer training is available each week. Class size is limited to 10 participants per session. Registration is optional, but not required. HANDEL’S MESSIAH 4 pm, @the First United Methodist Church in Gallup. Performance will be by the Red Rock Strings, the Gallup community Choir and the Rehoboth Cantabile. ‘THE LIFE OF CHRIST’ 7 pm @ Rehoboth Christian Reformed Church. The Rehoboth Mid School choir will perform in concert. TUESDAY, April 16 TECH TIME: ONE-2-ONE TECHNOLOGY HELP 3 pm – 4 pm @ Main Branch. The library is offering oneon-one technology assistance. Bring in your personal technology devices or software questions anytime or choose one of the scheduled sessions. For more information, contact us at libtrain@ gallupnm.gov STUDENT EXHIBITION 6 pm – 8 pm, @ Gurley Hall 1232, UNM-Gallup MCKINLEY COUNTY COMMISSIONER MEETING 9 am – 11:30 am @ County Commission Chambers. WEDNESDAY, April 17 STORY TIME 10:30 am - 11 am @ Children’s Branch. An active and energetic program for toddlers, featuring music, movement, rhymes, and stories. This program is intended for children ages two - four years old. WEDNESDAY NIGHT FILMS 5:30 pm - 7:30 pm @ Main Branch 115 W. Hill Ave. Films play every Wednesday at 5:30 pm in the Main Library. This week’s film: TBA. CAREER FAIR 8 am – 3 pm @ Gallup Central High Schoo.l GHS CULTURAL DIVERSITY FAIR 6 pm – 8:30 pm @ Gallup High School Commons Area. every Thursday. Phone: (505) 722-8973. OVEREATERS ANONYMOUS Overeaters Anonymous 12step meetings. Held every Saturday at 10 am. The First Methodist Church, 1800 Redrock Drive. Contact info. (505) 307-5999, (505) 7219208, or (505) 870-1483. SAVE THE DATE LIVE BIRDHOUSE AUCTION BENEFIT Annual live birdhouse auction will take place May 5. Artists and craftspeople are sought to complete birdhouses by April 21. Birdhouses to benefit American Cancer Society’s Relay For Life of Gallup. For more information: gallupbirdhouses.com or call Linda Shelton at (505) 722-2175 or (505) 297-9515. NUCLEAR NATION FILM FESTIVAL 3 pm – 9:30 pm @ El Morro Theatre, April 22. Six films and six expert panelists to answer questions about the uranium legacy on the Navajo Nation. Event is free. Sponsored by Octavia Fellin Library, UNM Gallup Unity Club and Mervyn Tilden 2ND LOOK ON 2ND STREET 6 pm – 8 pm Tuesday, April 23 @ ART123, Free Spirit, LOOM and opo Galleries + Camille’s Sidewalk Cafe. Catch art shows, artist talks and artist demos while enjoying a complimentary beverage from Camille’s. More info at www. gallupart.org/2ndLook. REHOBOTH MID SCHOOL SPRING BAND CONCERT 7 pm, April 29 @the Sports and Fitness Center Gym. WINE & PAINTING 6 pm – 9 pm @ ART123 Gallery Thursday, April 25. Have a creative night out at ART123! Register at www.galluparts.org/wine-and-painting. MOTHER’S DAY CRAFT-TEA 2 pm – 4 pm May 4 @art123. Mother-daughter event of tea, treats and crafting. Sponsored by gallupARTS. Registration required. $15 per person. IDAHO BAND PLAYS IN NEW MEXICO 7 pm May 5th @ Inscription Rock Trading Company, NM53, Ramah. Tylor & The Train Robbers celebrates the history of the infamous Black Jack Ketchum with their upcoming record, Best of the Worst Kind. No cover charge. To post a nonprofit or civic event in the calendar section, please email: gallupsunevents@gmail.com or fax: (505) 212-0391. Deadline: Monday at 5 pm. Tickets are $5 for adults and children 12 & under are free with an adult. April 22, 2019 Free Admission. Six Films, Special Guests, Panelist and More.